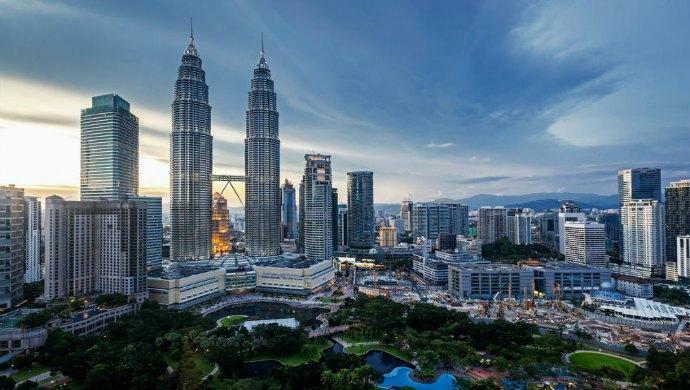 The Malaysian Global Innovation & Creativity Centre (MaGIC) today announced the 56 startups participating in its Global Accelerator Program (GAP). Launched in March 2017, GAP is dubbed as the “evolution” of the institution’s original accelerator programme, which has been run for three times with the participation of Malaysian and regional startups. Set to be held from July to October 2017 at MaGIC Campus in Cyberjaya, the programme said that it has received 947 applications from 47 countries in North America, Europe, Africa, and the Middle East. The top 56 startups (with 70 per cent of them being Malaysian startups) are chosen based on three criteria: Prospect to expand in the ASEAN market, potential of highly scalable products, and readiness for early stage investment. MaGIC also encouraged participating startups to integrate social mission into their business, as stated by MaGIC CEO Ashran Dato’ Ghazi in a press statement. to drive real change. This is why we are encouraging our participants to have a social mission and teach them how to design and drive sustainable business growth,” Ghazi said. GAP divided its curriculum into nine industry verticals and each startup can choose to participate in up to two verticals from the list: creative and lifestyle, mobile, healthcare, smart cities, e-commerce, education, finance, social innovation, and supply chain. MaGIC will help the startups by identifying the target market and building the right product, measuring the right metrics to drive the required outcomes, positioning for local expansion and regional growth, and getting them ready for Demo Day and investors. Assignment Hero: An educational platform for students and teachers to communicate, collaborate, and do frictionless group work. Inspired Soul.co: The platform’s mission is to cater “modern, easy and innovative” fashion solutions for an easier everyday for cosmopolitan Muslim women wearing hijab. Cloudbreakr: An intelligent influencer platform which helps brands and marketers to find content creators in different industries for social endorsement, selling, and business purposes. CoverGo: A free mobile app that helps people understand, manage, and buy all their insurance in one place. GROM: The startup has built a “unique” B2B application in the healthcare IT space. It uses 3D scanning, mobile, and cloud computing to digitise the prescription process for podiatrists. AllizHealth: A web- and mobile-based health management platform that is addressing the growing problem of Non-Communicable Diseases. CEMPIA (TheDecisionLabs): CEMPIA Patient Experience Management is a multi-channel, multi-lingual, digital patient experience management platform that seeks to understand patient experience at every touch point in the hospital. Report Bee Edusys Pvt. Ltd.: The platform uses “latest advancements” in data sciences to make data more useful in the education domain, especially schools. Summation: The platform offers womenswear that is the “anti-thesis of modern fast fashion” by incorporating the age-old, peerless Indian art of textile manufacture with cutting-edge contemporary design. Konserku: A website for concert promoters to produce concerts without any financial risk involved by crowdsourcing directly from the music fans in the city. 100Comments.com: An online consumer review and discover platform for social savvy shoppers to get the latest product news, reviews, and expert tips. AppCable Sdn Bhd/JOM Parking: JOM Parking is a comprehensive mobile app that aims to ease parking payment in Malaysia. BiiB: A mobile app that aims to make running fun and safe to support the fast-growing sports and fitness demand in ASEAN by connecting runners, creating a fun and motivating running environment. Bookyboo: The platform brings together “cutting-edge technology, gripping stories and world-class illustrations” to deliver a fantastic personalised story book, creating experience to a child anywhere in the world. CanLaw: A lawyer-discovery platform, innovating legal services through the use of technology with the aim to help people find the right lawyer at the right price and to provide lawyers with legal means of being discovered by clients. Caredo: An online platform focussed on building a caregiver ecosystem that is committed to provide information, support, and guidance to caregivers and associated industry professionals. CarinMED: The startup develops customizable and mobile-friendly electronic medical record application for volunteer doctors in mobile clinics to access and manage patients’ medical history and care from lower income and marginalised communities. ChubbeeCloud: The platform uses state-of-the-art food printing technology, coupled with the company’s forte for exquisite designs to create the first personalised printed Marshmallow Gift Box in Malaysia, what it refers as “The Coolest Edible Picture” in the market. Closing The Gap: The platform helps students, especially those from low-income communities, overcome hurdles to access higher education and achieve their fullest potential through mentorship and workshops on post-SPM pathways, application processes, and developing students to become critical thinkers and effective communicators. CollectCo: A network of crowdsourced collection points, e-commerce merchants, couriers and customers that offers parcel delivery and collection services, aimed at revolutionising last mile fulfillment. Direct Lending: An online personal lending platform that provides a “faster, simpler, safer, and more affordable” borrowing experiences to consumers. furmingo/Cloud Design Marketing Sdn Bhd: An infotech company focussing on developing the “highly revolutionary, innovative and integrated” 3D interior designing platform targetting interior designing sector. GetDoc: The startup builds a complete healthcare ecosystem offering services from doctors’ appointment to IoT healthcare products and a multilingual health education portal. GigaGigs: A mobile crowdsourcing platform for micro-task creation by the clients, and completion of the micro task by the general public. The startup operates on a B2C model. Kidxy Technologies: An online platform for parents or guardians to search, book, and review kid’s activities at discounted rates. MEDKAD: A mobile and web-based application that able to function as an electronic medical card that uses QR code technology to simplify the outpatient medical process at the clinics. MHub: An all-in-one integrated platform that links stakeholders in the real estate and banking sector to facilitate mortgage transactions. Mutant Dreams: The startup manufactures HD stickers that can be heat-transferred to fabric, plastic, or paper material. OhMyGrocer: A ready-to-cook and heat-and-serve meal kits delivery service for everyday cooking, baking, and hosting. Otomate Me: A platform which integrates behavioural science and technology to help families automate (“otomate”) their daily fast-moving needs. PantangPlus: A booking platform offering pregnancy-related services for pregnant mothers and mothers in confinement. PasarTap: A “trusted and experienced” provider of grocery products that can guarantee freshness, local choices, and price competitiveness. Remunch: The startup reduces food waste by channeling surplus non-perishable food products in good condition to the fast turnover usage channels (food operators and offices pantry) in a B2B business model. Royal Tenant: A mobile app and web platform virtual assistant that helps property investors and agents to manage their properties and tenants. RunCloud: A web server panel for cloud servers to enable easy, hassle-free web server management and application deployment. SERV: A mobile platform that brings freelance car mechanics to customers’ doorstep to service their cars. Signature Market: A VIP wholesale shopping club focus on natural and organic products. Soding: An AI-powered recruitment platform for employers to hire software developers. SportsPlay: A mobile app that allows users to discover new friends by connecting them to other individuals looking for players to play their favourite sport, and find sports venue close by. Staydilly: The startup claimed to be “the first and only” opaque distribution channel for premium hotels in Asia Pacific. SwapIt: A digital currency exchange platform that allows users to exchange currencies instantly through their own mobile-device instead of going to money-changer outlets physically. Techcare Innovation Sdn Bhd/Fibod: A wireless, smart fitness balance board that allows users to train and access their balance skill with virtual reality games. TeleMe: A telemedicine startup which utilises technology to provide improved healthcare experiences to patients and practitioners. Trendy County: The startup is leveraging on IoT business architecture to help realise a “unique” cross-border, multi-channel sales proposition with its “Click&Collect” feature. Web2ship.com: A crowdshipping platform and a marketplace for postal and courier companies. wowintro: A pre-interview screening tool that allows employers to ask candidates’ questions and receive replies digitally via video, texts, or file assessments formats. 42Race.com: A fitness social platform with monthly online running challenges for runners. Cafebond.com: A B2C/B2B e-commerce marketplace for specialty coffee beans, offering “Asia’s largest selection” of specialty coffee. Kobe: AI-driven advertising platform that pairs advertisers with relevant content creators, leveraging on their ability to broadcast messages to millions of users so that businesses can get represented in front of their target audience in a credible manner. Triip: The startup dubbed itself as “the happiest impact travel platform in the world” dedicated to bring together local experts and global travellers to create authentic local experiences. VREX LAB: The startup’s mobile app Rush uses geolocation and AR technology, allowing users to attach their memories (photos, sound, and video) to a physical place (wall, door, the sky, etcetera) as they would a Post-It or graffiti. HypeHash: The startup claimed to be the world’s first social-trend centric platform marketplace, in the form of a mobile app and a website, which monetizes hashtags, social data, and stories. Tagtoo: The startup focuses on digital advertising display technology to reach potential customer cross-border and cross-screen. Ami: The startup offers smart room for rent in big cities for “young and active” people who want to save their time and focus on self-development. The post MaGIC brings in 56 startups to its first global accelerator programme appeared first on e27.